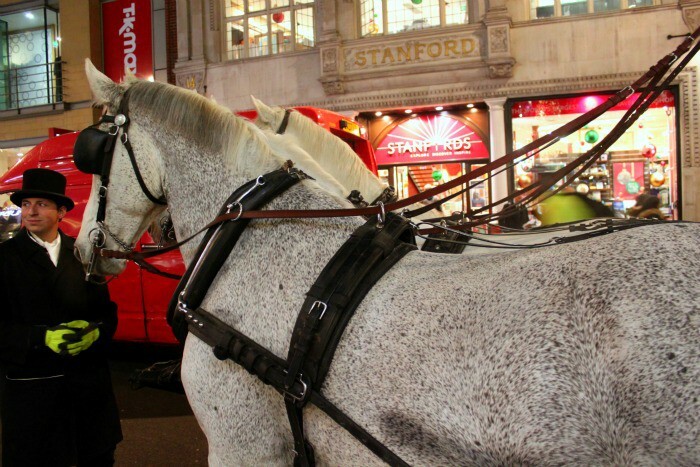 Unfortunately, horse-drawn tours of London are no longer available – however, we are still running our Christmas Lights tour of London. 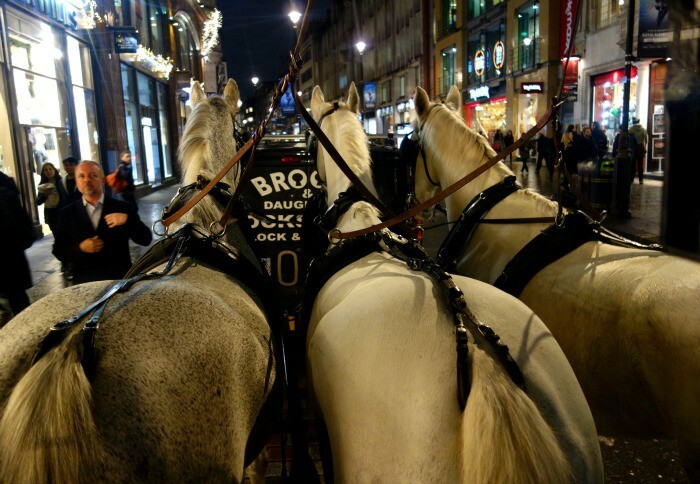 Yesterday evening, we were lucky enough to try out the most exciting new festive tour to hit London – a Horse Drawn Christmas Lights Tour in a vintage Victorian omnibus! 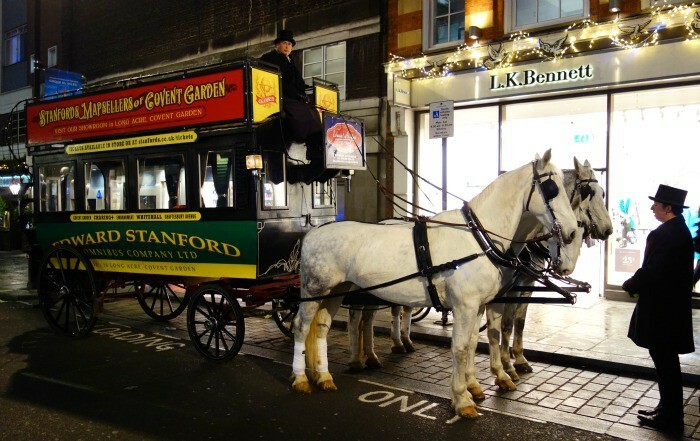 Drawn by three expertly trained horses and manned by two coachmen, the carriage is a fully refurbished and authentically Victorian omnibus, the only working one in London! The omnibus seats 18 and was the original double decker bus of London, transporting people around the city; a cheaper alternative for those who couldn’t afford an individual horse and carriage taxi. 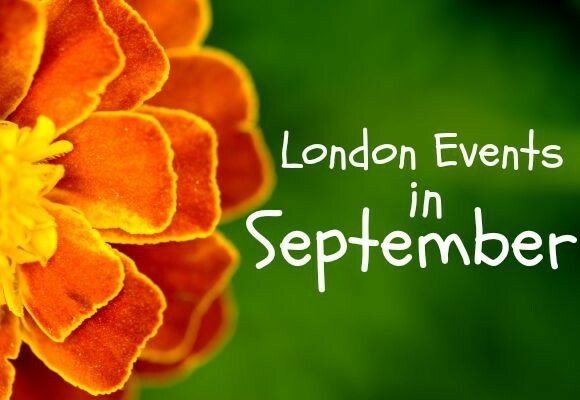 The tour begins in one of the most picturesque areas of London, Covent Garden. The cobbled streets are lit up with pretty festive lighting. The magic of Christmas time and the bustle of festive shoppers make this the perfect place to start this very special tour. The meeting point is outside Stanford’s Bookshop, an amazing shop selling beautiful travel books that are great for Christmas gifts! We recommend paying a visit before or after the tour – it’s a shop you don’t want to miss. The omnibus is pulled by three highly trained horses, who are accompanied by their trainer throughout the tour, making sure they feel safe and calm as they travel through the city traffic. As the tour sets off along the twinkling streets of London, the omnibus is a sight to behold; plenty of passers-by take photos and videos as you pass! Half way through the tour the top deck switches with the bottom deck, so don’t worry, everyone gets a chance to sit on the upper deck! 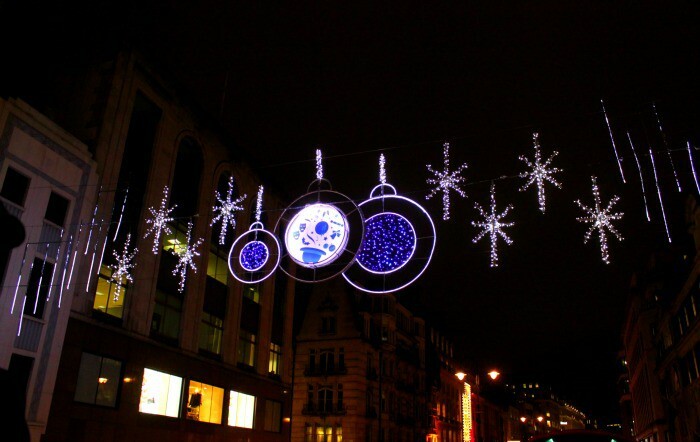 Passing through Covent Garden and on to the Strand, the beautiful Christmas lights of London twinkle overhead. 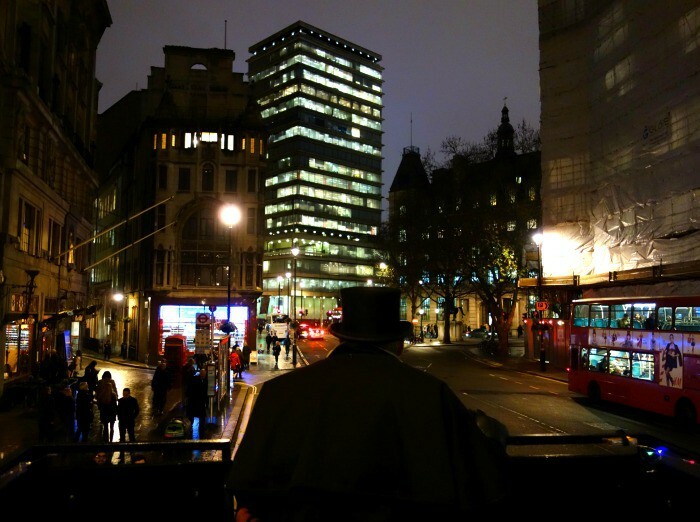 The city looks beautiful at night time and the festive atmosphere is pretty special. Passing Trafalgar Square and travelling through Piccadilly Circus is something you will never forget, the truly open nature of the top deck means the views are incredible, it’s a genuinely magical way to see the city. 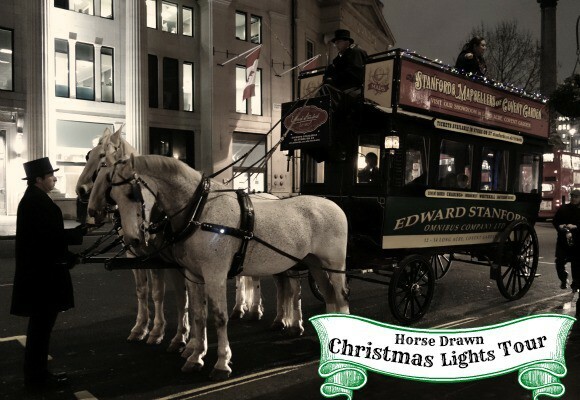 If you want to take the Horse-Drawn Christmas Lights Tour, make sure you book in advance, or try our double decker bus tour of the London Christmas lights! 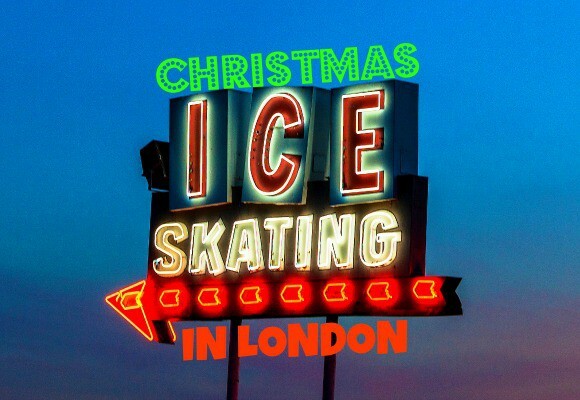 Have you been out to see the London Christmas lights yet?